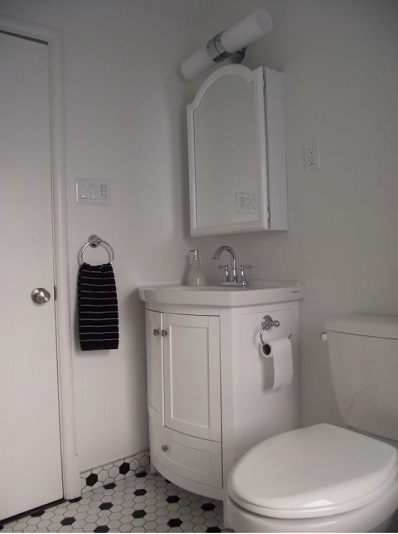 Full bathroom renovation in Halifax’s North End. 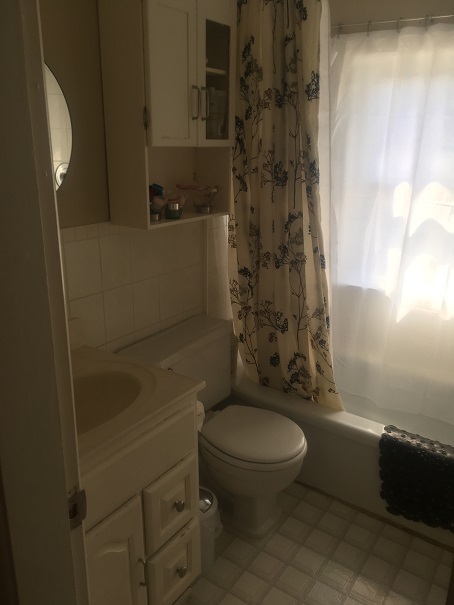 This homeowner received a new vanity, vanity sink, sink faucet, medicine cabinet, toilet, alcove tub, handheld shower faucet and trim, tiled shower walls and window privacy film, and new flooring as per design plan! 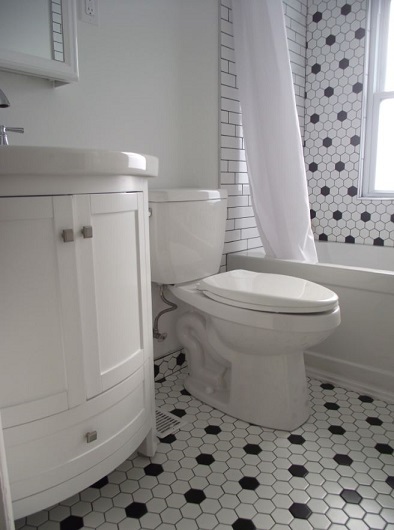 We supplied and installed white & black hexagon mosaic tile in floor, back shower wall and window trim with new mosaic tiled baseboards. 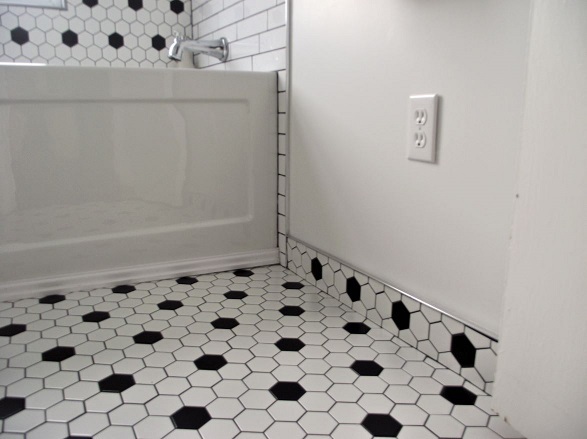 We used chrome schluter edging for baseboard, shower window trim, and shower wall edge. 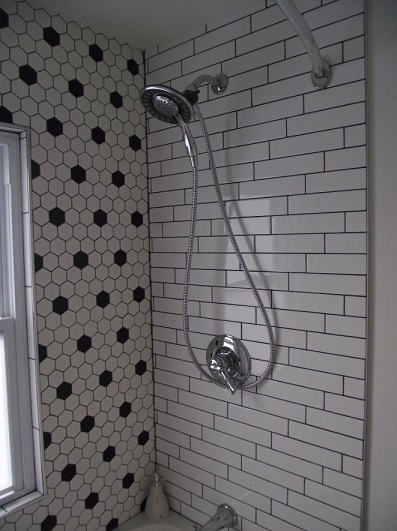 We installed a bright white subway wall tile to contrast the shower wall pattern. 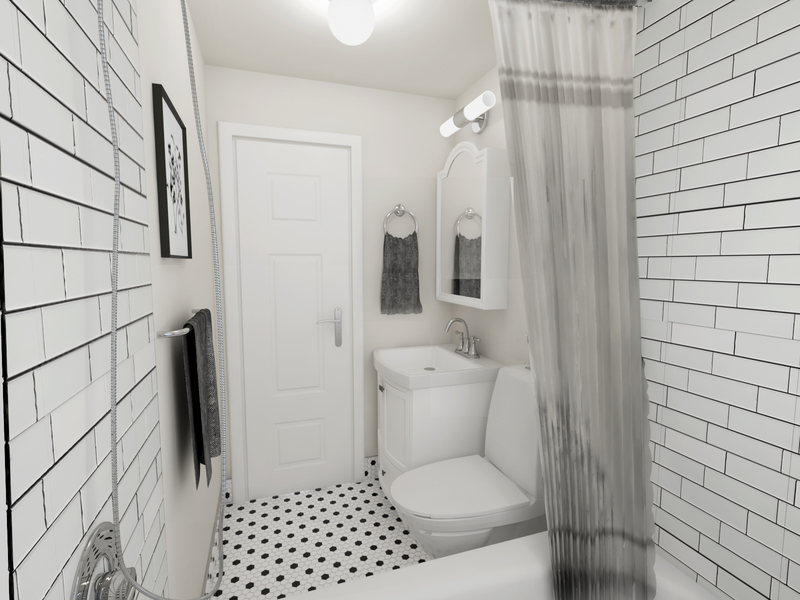 Below you can see the bathroom design renderings and a before photo! 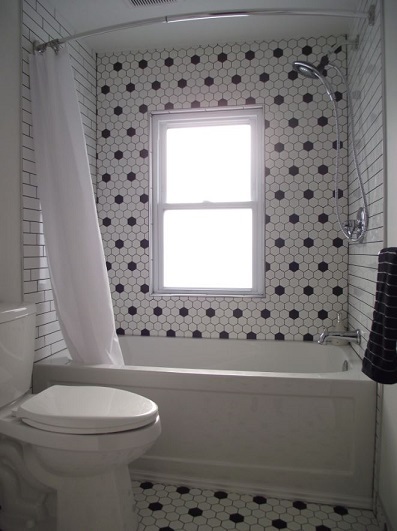 This Halifax renovation project also continued into the kitchen for this homeowner. 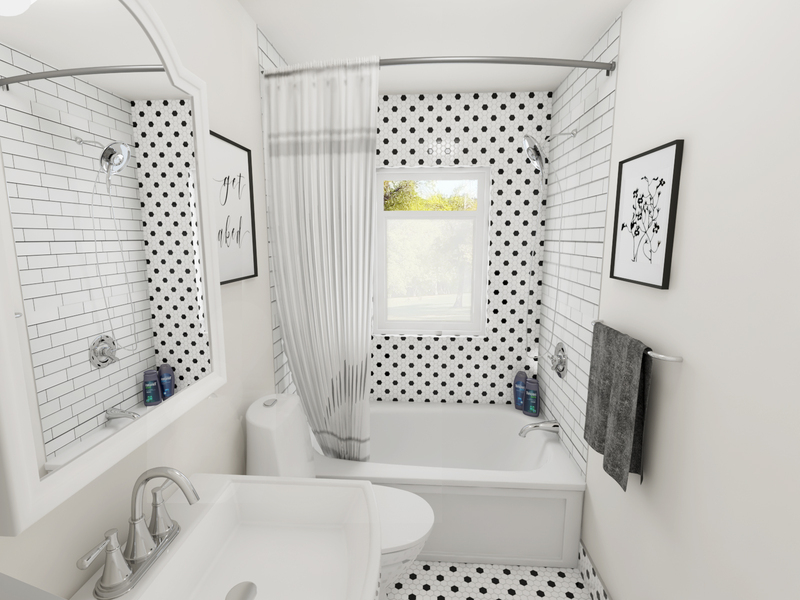 Click to view the full kitchen renovation project!